Sefula Seji, a player who is known for having had some results on the WSOP circuit, was charged Saturday, April 9th 2011 by Police for using sand paper to mark poker cards in the poker room at Sands Casino Resort Bethlehem in Pennsylvania. The player was detained and bail was set at $75,000. He has also been banned from entering the casino. After a routine inspection of the poker cards used during the day the staff of the Sands Resort casino found several of them to have abnormal and different markings on the poker cards. For example, an ace was marked on the left corner and as the value of the cards decreased the mark moved further down the poker card. After reviewing images from the casino security cameras, the casino management were able to identify people who played at the table including Seji. The next day he returned to the casino. The security team watched his every move and found him to be manipulating the poker cards in a suspicious manner. After 45 minutes the police decided to arrest him at the table. While he was being arrested a small piece of sandpaper fell from his hand. Many were subsequently found when his possessions were searched. The casino immediately interrupted the game and confiscated the poker cards. They found that thirty-nine of the poker cards had already been marked. 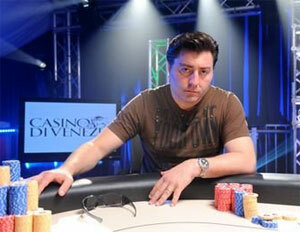 However the investigative report cannot prove whether Seji won any money from marking the poker cards. However it is highly unlikely that he won enough to pay his bail of $75,000.